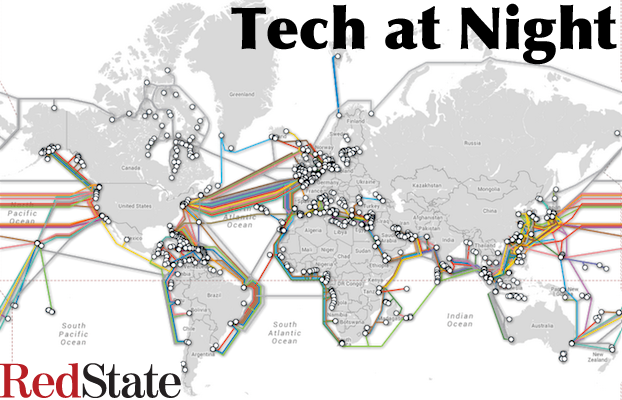 Tech at Night: The Government should not be allowed to make us less secure Tech at Night: The NSA Strikes back at North Korea? Merry Christmas. The NSA was founded after World War II, in the modern era of communications warfare. We’d already won World War II in no small part because the US and UK used state of the art analog computers to break German and Japanese codes. This break was so complete, we had to avoid using the data often, for fear of letting them know we had it, but it helped win the Battle of Midway, turning the Pacific War. So while the Internet may not specifically be what we thought the NSA would be defending, we did know then that modern communications and computers would have a big role in what NSA did. So foreign countries attacking our computer communications is exactly why we need a strong NSA, and I sure hope after this attack, Rand Paul will zip it and let his betters do the talking on NSA. John McCain and Fred Upton plan to look into it, and I hope they do a better job than we were able to do with the Dems point on these issues this Congress, Patrick “Leaky” Leahy. And I hope their plans involve voluntary data sharing between government (including NSA) and the private sector. Legislation is the proper answer to settle this topic, as the FCC power grabs repeatedly being struck down in court are totally improper. How bad is it getting? FCC Chairman Tom Wheeler has hijacked the whole committee, declaring that “I am an independent agency,” referring to the FCC in the first person singular. They’re trying to shut out Republican oversight entirely, not even pretending to have votes anymore. It’s now a rigged process, probably in violation of regulatory law. Speaking of courts, FCC just got smacked on the new broadcast rule passed, attempting to break open the private details of deals broadcasters enter into. They do want to regulate the Internet though. They’re now after Internet video, which Commissioner Ajit Pai rightly worries may be the gateway drug to more regulation. FCC dealt the Redskins haters a crushing blow, at least. Good news: Sirius XM continues to lose in court as it got sued over its use of pre-1972 recordings (the works still under copyright) without paying. Patent reform is a tricky issue. We do need to make it harder for bad patents to make trial lawyers rich at the expense of innovators, but we also must avoid undermining legitimate patents and innovators. I suspect different industries have different views on this issue and we must be mindful of that. The Republican-governed Michigan joins states looking to recover sales tax revenues lost as commerce has shifted to be increasingly interstate and over the Internet. There has to be a way we can fix this, too, without being a giveaway to one industry or another. The Constitution is not a loophole, but the Congress can enable states to work together on this voluntarily, without impeding non-sales-tax states.